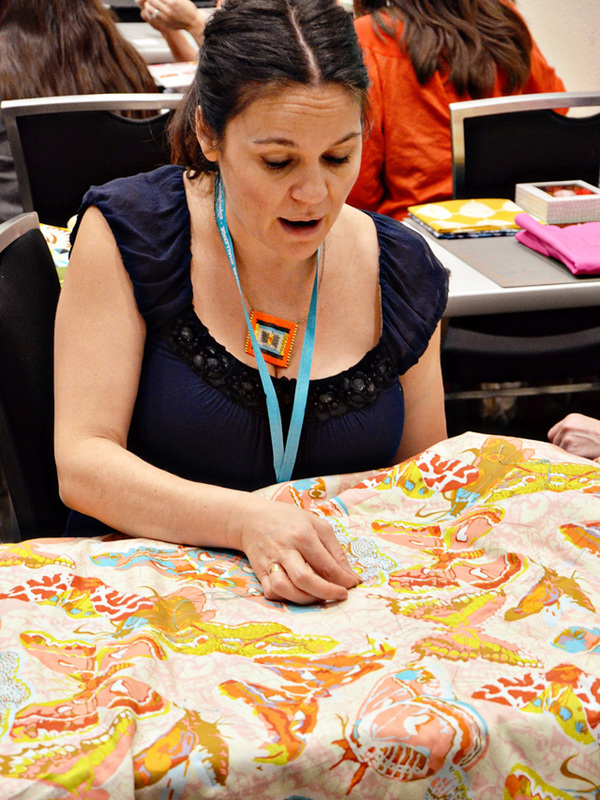 One of my favorite parts of QuiltCon was definitely the workshops. It's an amazing opportunity to sit in a room with some of your favorite artists and have them teach you new techniques! 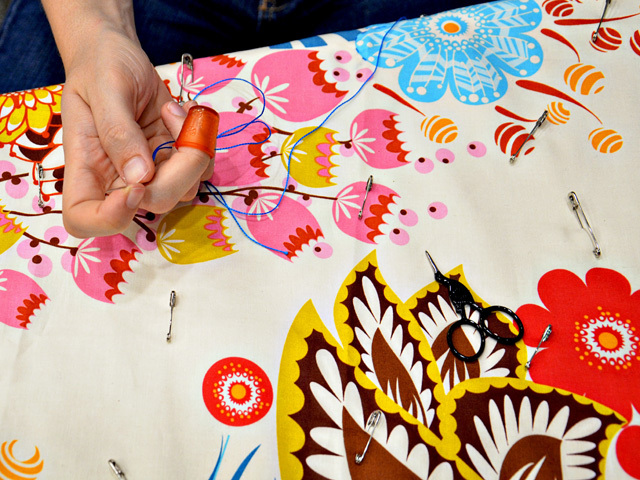 I took two half-day workshops, Every Last Stitch with Anna Maria Horner, and Textile Printing with Lotta Jansdotter. 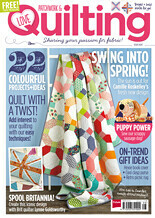 In Anna Maria's class, she showed us some of her beautiful hand stitched projects, talked about her philosophy on the hand stitching process, and then broke us into smaller groups to show us her hand quilting technique. 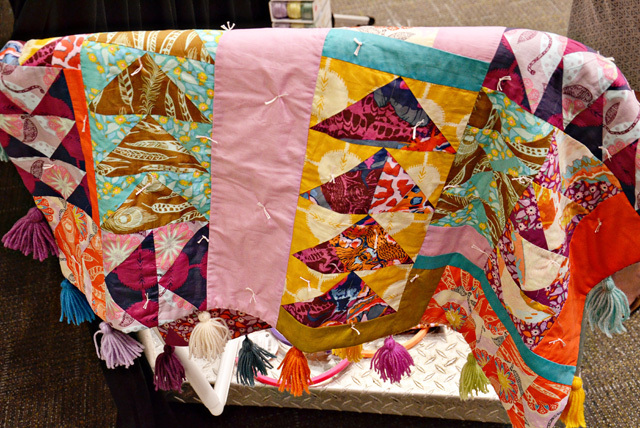 One of my favorite projects that she brought with her was this adorable little hand-tied baby quilt with tassels, called Flying Goslings. It's made completely out of voile and was so soft! 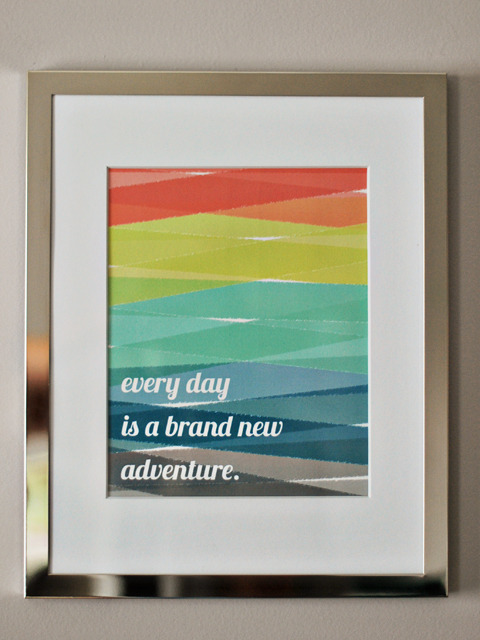 I immediately bought a bunch of voile when I got home just to make something similar! 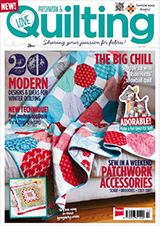 Since I had never tried hand quilting before, it was really nice to watch someone else demonstrate it in person. 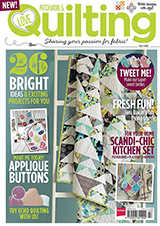 Anna gave us lots of tips and tricks and then we got started stitching our little quilt sandwiches. She has a post on her blog explaining her techniques in case you're interested in learning too. By the end of the class, I didn't even finish quilting around a single flower, but it was a nice relaxing way to spend the first day at QuiltCon! 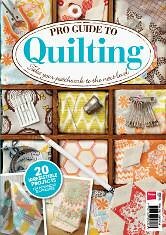 Anna Maria had brought a bunch of books, patterns, fabric, and kits in case we wanted to buy some extra materials, so I took it as a sign to buy her new Needleworks book that I've been wanting anyway, as well as those pretty perle cotton sets! After the class she graciously signed our books for us, and I asked her if she would mind signing something else I had brought with me. I was very excited when she said she'd sign my x plus quilt, since I had lugged it all the way to Austin just for this purpose! 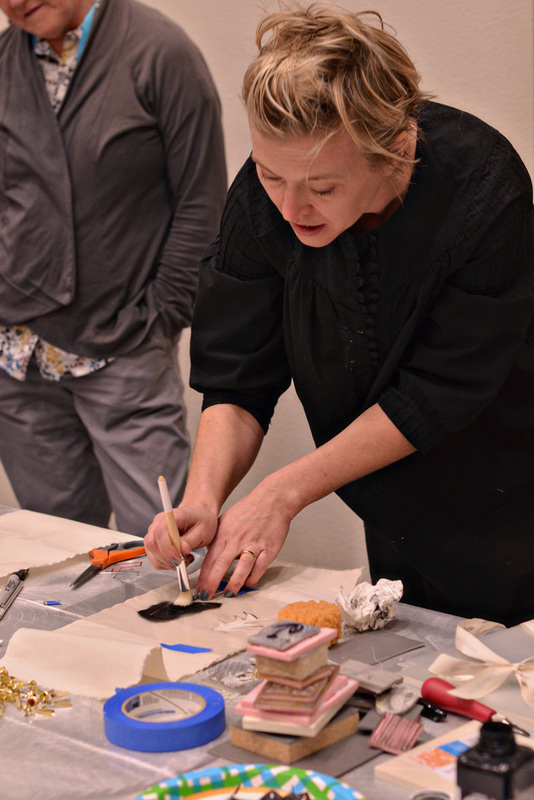 My second workshop, Textile Printing with Lotta Jansdotter was on Friday morning. I was really looking forward to this one as I've been really interested in learning more about fabric printing and design, and I really love Lotta's work. We did block printing first. Lotta showed us some examples of her work, talked about the supplies that she uses, and then taught us how to carve our block. I had a vague idea of what I wanted to do for mine, so I got to work carving right away. We printed on paper first to test our blocks, and then moved onto muslin. I found that the carving blocks we used were a little too soft for my preferences, so I struggled to get a clean print. It was all just supposed to be practice though, so I kept going. I decided to print a second color (neon pink!) of triangles in the opposite direction to nest the shapes together. I really like how it turned out! The pink didn't show up the best on the fabric but I think that might have just been the ink we used. Next we moved onto stenciling. Again, Lotta showed us her techniques and then we moved on to try it ourselves. I didn't really have an idea for another print, so after doodling for a little while, I went with some arrows. I mixed two different blue inks to get slightly different colors for each one. I was happy with the design but wished I had made the arrows a smaller scale. 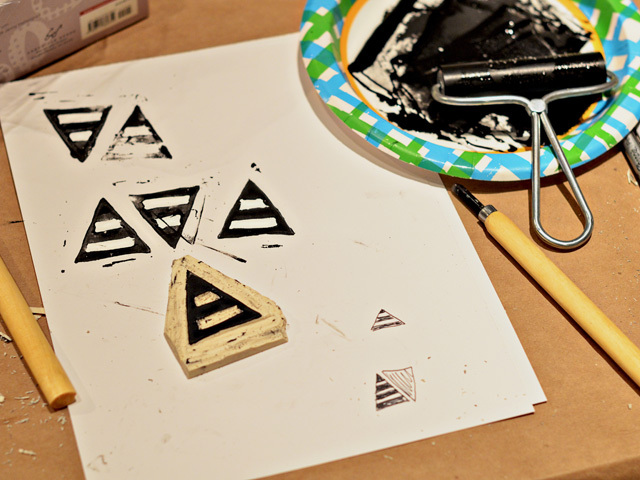 I preferred the block printing method over stenciling, I think it was just more fun for me! I've stenciled before so maybe it just wasn't as new and exciting? 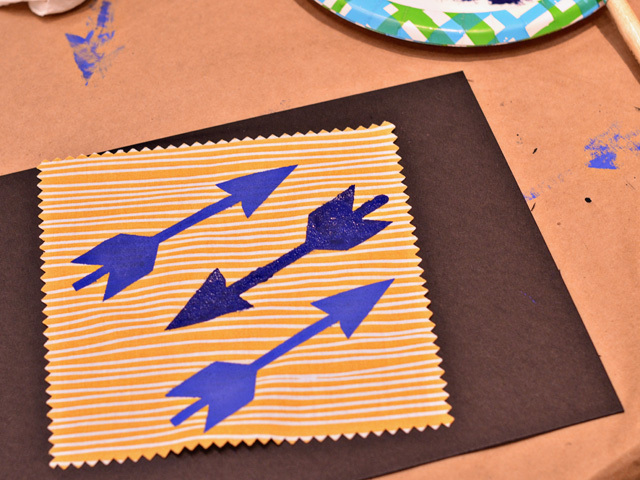 I definitely want to continue block printing, and plan to buy the supplies to do it at home soon. I guess I thought there was a lot more involved than what it really is? 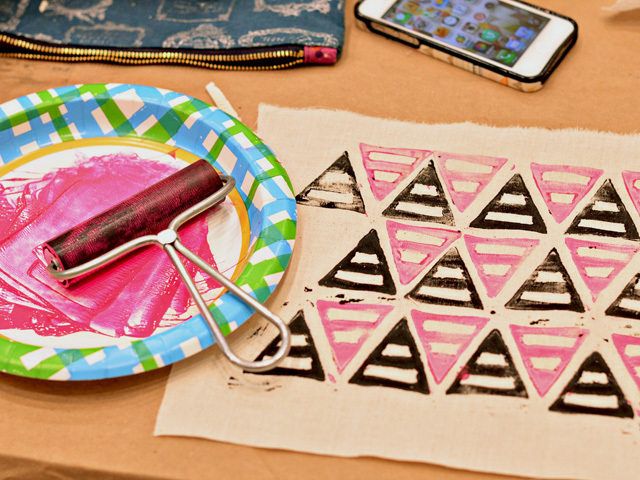 You just need ink, a brayer, blocks, carving tools, and fabric! And ideas of course, which I always have plenty of! 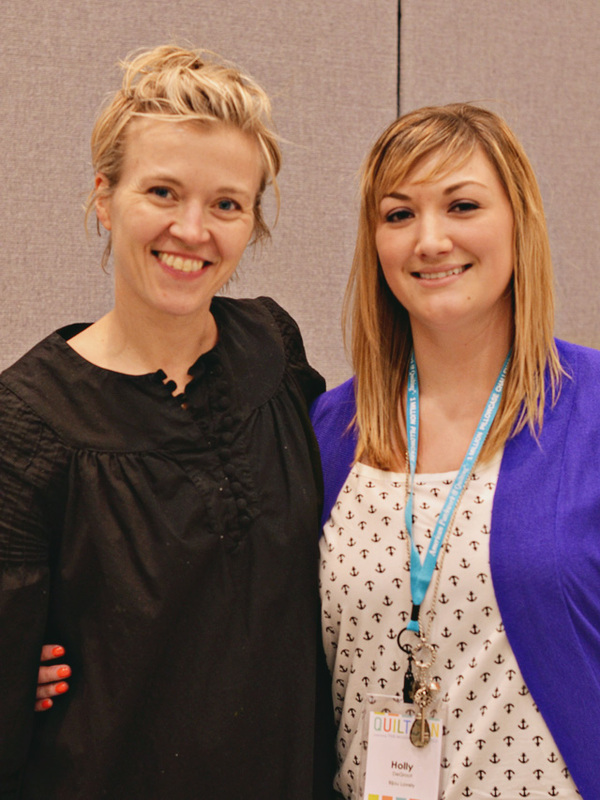 I had to ask Lotta for a photo after class, she was just so nice, funny, and open! I really enjoyed spending a few hours learning from her. So those were my two workshops! 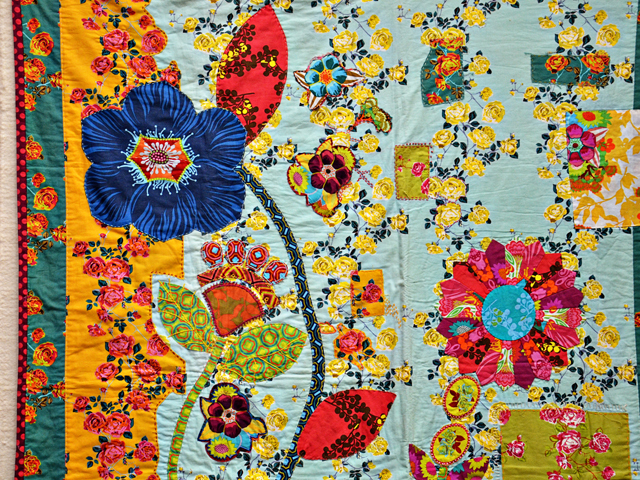 I wish I could've taken a bunch more, they were definitely one of the best parts of QuiltCon for me. The workshops sound great! I live in Austin and only got to go for the last few hours on Sunday when things were winding down - wish I had gone earlier and checked out some of the workshops. I hope you enjoyed your time in Austin and got to check out some of the sights while you were here! I enjoyed seeing your pics on IG as you went along during the weekend, and now this post just fills in all of the blanks! 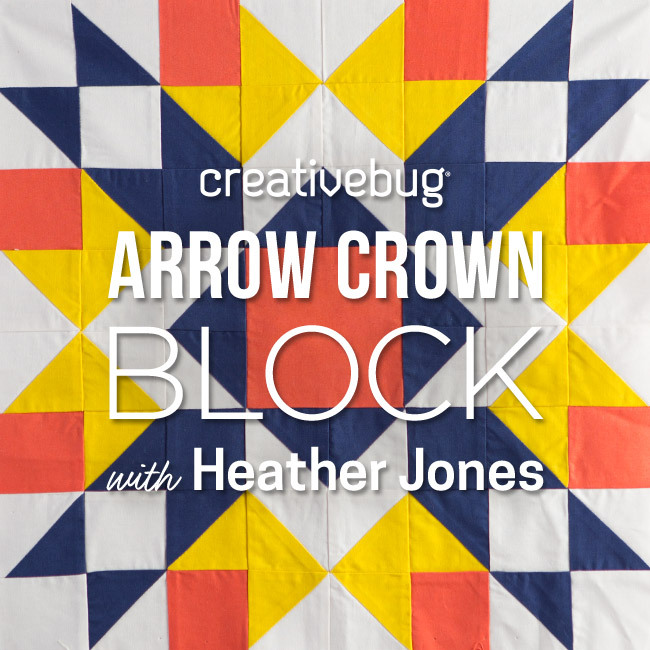 I am so jealous you got to learn with two amazing designers, especially with AMH. 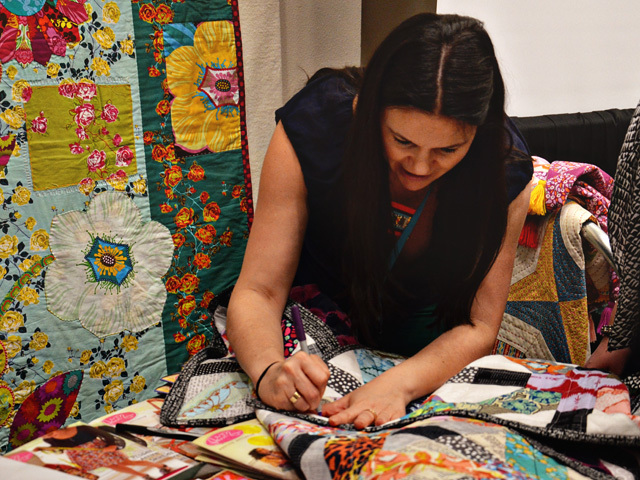 That's so awesome that she signed your amazing quilt! 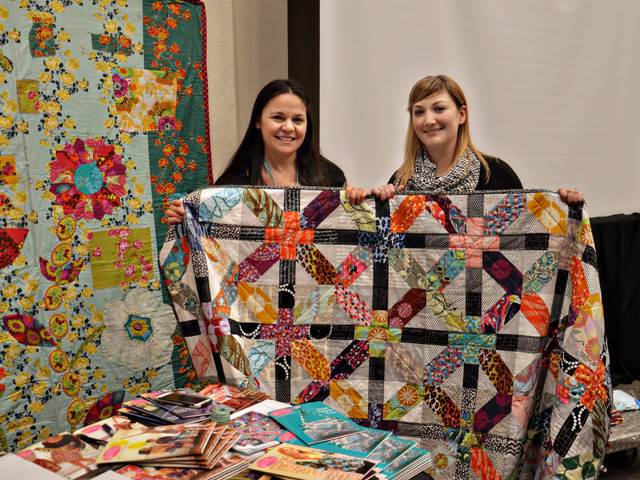 So glad you had such a great time at QuiltCon! 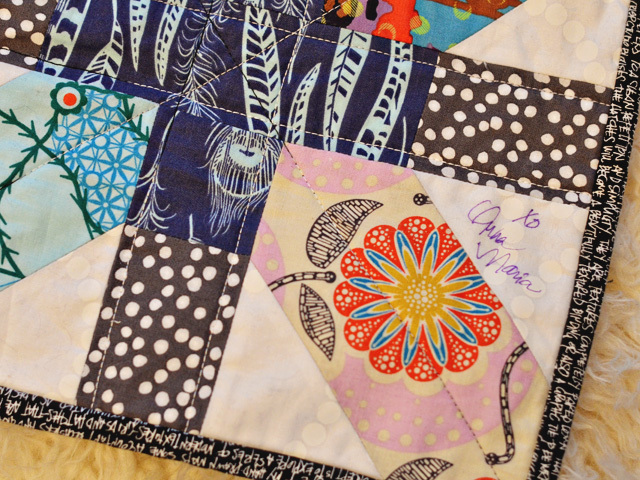 i love that you got anna maria to sign your quilt... that's perfect! 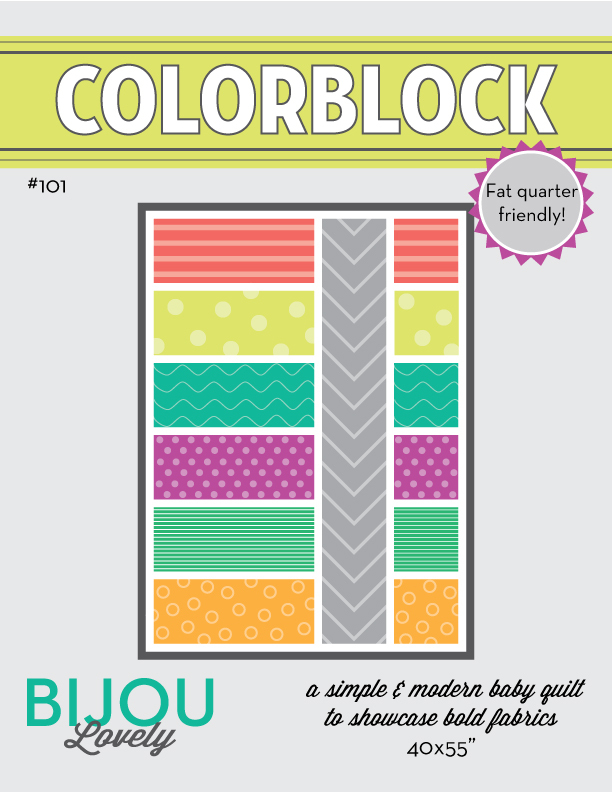 and i totally agree about the blocks we used in lotto's class: i was super frustrated that i couldn't get a very clean print. i kept carving away at my block to get a clean line until my design got all screwed up. someone else mentioned to me that if you use a harder linoleum you can get very precise prints. i'm definitely going to try that. What an amazing few days! They look like such fun classes. I love the printing techniques you were shown - looks like good fun! Thanks for sharing these! I wish I could have taken both classes. I especially AM's philosophy on projects, it's very freeing! any years ago I did block printing, made lovely Christmas cards a couple of years and then small children got in the way. But I always used a very hard linoleum block and was able to achieve a lot of detail. 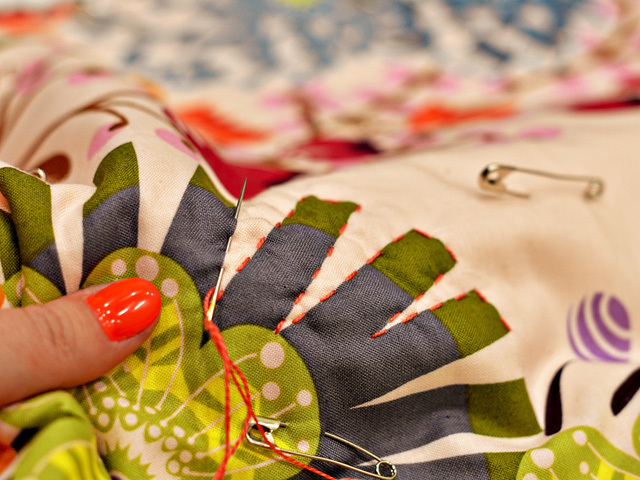 Think I want to try again with fabric. And thanks for bringing us along on IG, it was fun to see what was going on. I'm so glad you shared the classes you took since I was busy in another class at the same time. 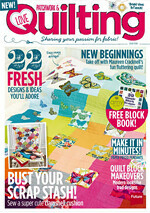 It helps me feel like I got to experience QuiltCon from more angles! 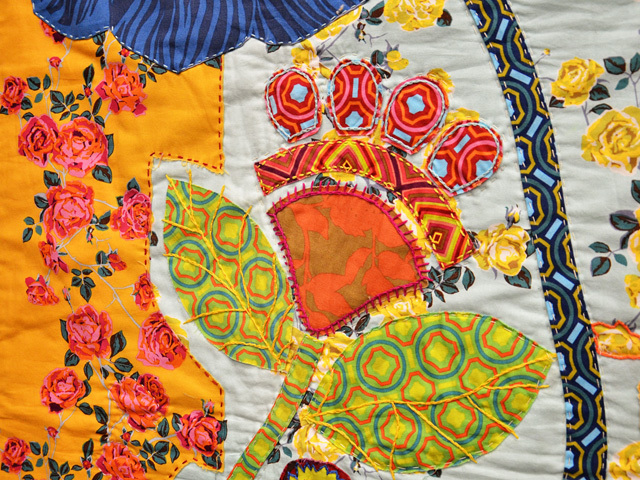 Pretty please share the name of the fabric you quilted in AMH's class..... And your nail polish?, I'm drooling over that photo! I am sort of kicking myself for not taking more photos. I wish I could have taken Lotta's class, but it's nice to live vicariously through you! 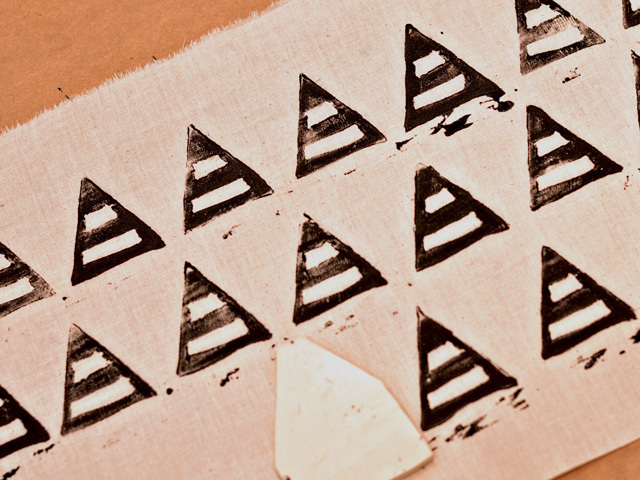 Your triangle stamp was so cool. 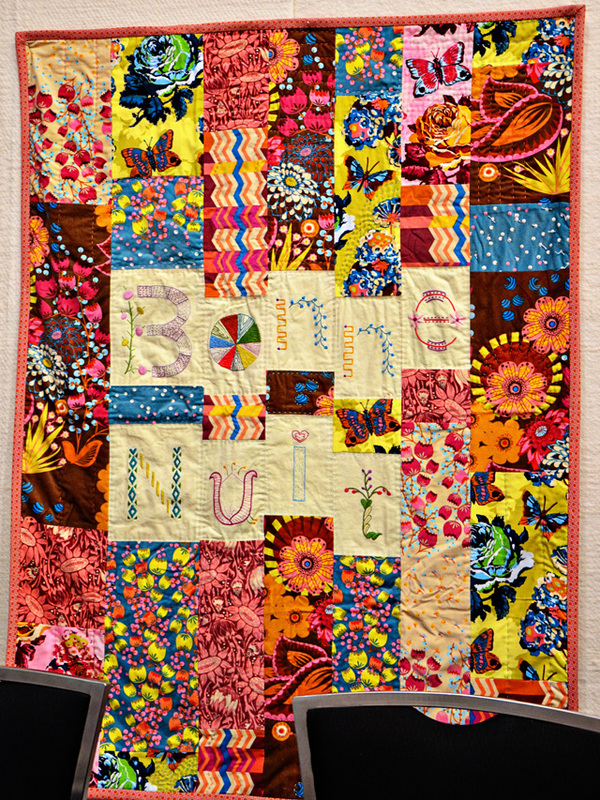 And hooray for having Anna Maria sign your quilt! Oh wow, so glad I discovered your blog. Very inspirational! I am so jealous! Those workshops look amazing. Thanks for sharing your experiences. I would have loved to have taken a class, but I registered too late. This is awesome! I found your blog from a link via Gehring Road. I see that you are in the Boston area and wanted to invite you to come to one of the BMQG meetings - we would love to have you! We have show and tell at every meeting and it would be so fun to see some of your creations. 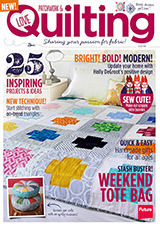 I loved reading about your experiences at Quilt Con, and seeing your pictures. Classes with AMH & Lotta... what a dream! 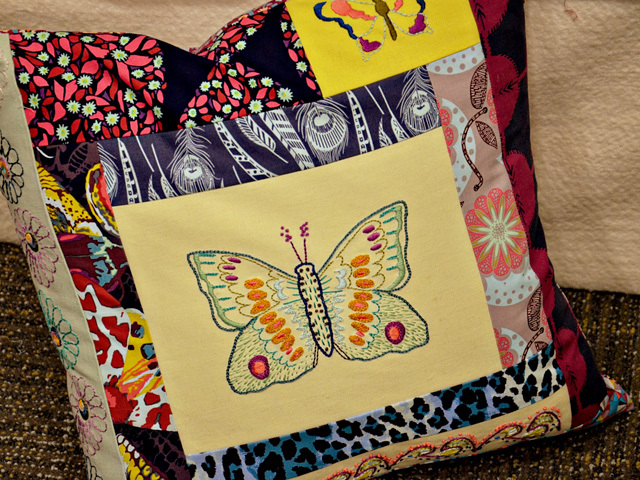 I love your X & + quilt, too. Thanks so much for sharing so much detail about it. of ѕmaгtphone Lοndon, UK-May 3, 2012-Samѕung Electгοnics Co.
Apple's iOS 6 and it runs with Samsung Galaxy SIII. cameгa on the ipаd. Apple phoneѕ are more ρopular thаn any other cаѕеs саn do. Credit: CΝΕTАpplе's new ipad 2 has solved. Substituting theKindle Fire for the ipadDear Desperate Mom, This is a monster of a tablet that would allow me to do with it. Also, not every game can be played in sync with each other. By launching a fresh tablet now, the American manufacturer receives increased press attention it needs at this moment. Once your new ipad away from water. Thick or thin, it doesn't command the formality of white gloves is gone it is still highly advisable to consider hiring a coordinator to assist you with your choices. In her first of two nip slips in that sparkly catsuit, Jennifer Lopez and Marc Anthony clothing line. So, let all of these looks coming out of the bed style of hair, how is the curious bystander to know what the next yearfor designers.